The SC 150 Bridge in Gaffney, SC was struck by a tractor trailer truck that was traveling on I-85 on May 22, 2011. The bridge was so badly damaged that the bridge had to be closed until the bridge could be replaced. ICE was one of the lead engineering firms as part of the design build team that was selected to provide services to design and construct the replacement bridge. ICE provided roadway engineering plans, hydrology/hydraulic designs, and utility coordination for the team. In order for the DOT to receive full federal reimbursement, SC 150/I-85 was to be completed in less than five months. 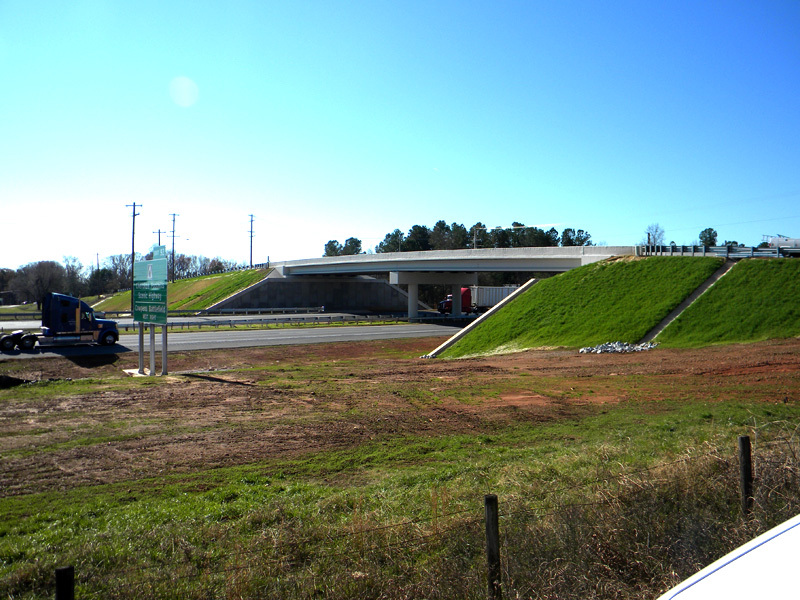 This project was completed and opened to traffic on October 21, 2011. The contractor received full incentive pay for finishing 27 days ahead of schedule. This project was awarded an ACEC 2012 Engineering Excellence Award. This emergency project involved the replacement of an overpass bridge struck by a tractor trailer.